If you are like me at all, Monday usually has you dreaming of the weekend and that’s exactly where I am today. Mostly because Paul and I are taking a little road trip this weekend to a city neither of us has been – Omaha. I’ve lived in the Midwest my whole life (as has he) and neither of us have spent any time in Nebraska so we welcomed with open arms the chance to spend a long weekend in the city exploring – what else – the food scene! Visit Omaha reached out to see if we would be interested in checking out their Restaurant Week and coincidentally, we had been looking into a road trip getaway right around the same time. So a weekend away, lots of food and drinks, museums, culture…seems like a no-brainer! 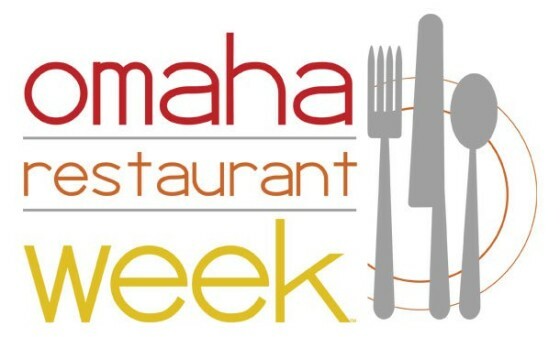 Omaha Restaurant Week runs 12 – 21 and the list of participating restaurants is HUGE. My list of must-try places is waaaaaay too long for a three-day trip! We are planning to eat (obviously) and fill our time with some fun tourist-y things like visit the Henry Doorly Zoo that everyone keeps raving about; check out the Durham Museum;check out the craft beer scene; explore the Lewis & Clark landing along the riverfront and possibly even take a riverboat cruise! And my fingers are crossed I can sneak in some shopping. It will be a packed weekend, for sure. Leave a comment below telling us what you would most look forward to about visiting Omaha…or if you have been to Omaha, tell me your favorite thing about it! One winner will be randomly chosen on Monday, September 15th and will be notified via email (please leave a valid email address in your comment!). The winner will have 48 hours to respond and claim his/her prize. Follow Visit Omaha on Facebook, Twitter or Instagram and Omaha Restaurant Week on Facebook and Twitter. Follow along on our #OmahaWeekend on Instagram & Twitter! Our trip to Omaha and this giveaway are being sponsored by Visit Omaha. All opinions are my own, as always! We have visited Omaha on more than one occasion. The food and shopping at Old Market are amazing. Loved the pedestrian bridge, as well. Sounds like an awesome trip!! We’ve never been to Omaha but anything that involves great food is always on out to-do list. As generic as it sounds I have always wanted to visit the zoo. Every year I think I will take my nephew for a weekend trip but weekends just seem to get busier the older he gets! Look forward to hearing about your trip! SO SO fun! Have an amazing trip Cassie! Enjoy it! Sounds like a blast! Oh my, looks great, enjoy! My wife and I and a couple friends are going the end of this month to see a comedy show and we were thinking about hitting up to famous Zoo!! That would be sweet! I love, and my daughter loves, the zoo!!! I love Omaha because of all the different things there are to do…zoo, lots of different restaurants, parks, shopping, and so much more. With two young boys, the zoo is a must stop for us. Best around by far! It’s under some additional construction right now, but even still it’s fantastic. For date nights, Crave is our favorite restaurant. I just moved to Omaha and I love the variety of restaurants they have. I’m looking forward to trying a couple out during restaurant week! We love visiting Omaha and going to old Market and the Durham museum! Would love to visit again. I live in Omaha and have been wanting to try Dario’s. I also have never been to Lauritzen Gardens. I love that visitors are always surprised just how many things there are to do here. There is a great craft beer movement going on right now and the restaurants are wonderful! I’d totally look forward to trying these delicious food places!! 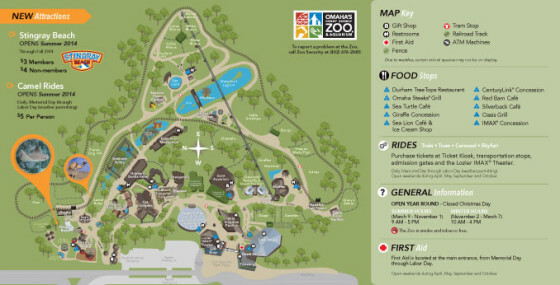 Never been to Omaha but would love to check out the zoo and, of course, the food! There are some awesome restaurants in Omaha which we always enjoy after a great day at the zoo! The zoo is top-notch!! We have visited the zoo and would love to return. The childrens museum is fantastic as well. Enjoy your stay. I love the joslyn art museum. It’s free with beautiful and famous works of art! ooo the riverboat cruise sounds fun! and of course the foodie explorations! I have NEVER been to Omaha but the zoo and museums would be great along with great food. The zoo is amazing in Omaha! Not to mention all the fun food places to try. So many unique places! I have lived in Omaha my whole life and (embarrassingly?) have been to all but a handful of the participating Restaurant Week restaurants…..most are AWESOME! Definitely visit the zoo….it is top-ranked for a reason! Hope the weather cooperates and you have a wonderful weekend! I live just south in Lincoln, so I have been to Omaha a few times. My favorite thing is the zoo. We have a small zoo in Lincoln that you can blow through in half an hour, while the Henry Doorly zoo takes a full day.